The 10th episode of the Impressive gives you answers to the questions that came from one of the listeners about how to empower your children. Just because they are still young, who are in the stage of discovering themselves and exploring the world, doesn’t mean that they can’t participate and give their insights on issues around them. Actually, they can if you allow and courage them to do so. In this episode, Doctor Kimberley will give you tips on parenting approaches that would motivate your children to better themselves and be part of something good. Impressive is a weekly podcast that sheds new light on the world of parenting. Join host, Dr Kimberley O’Brien PhD, as she delves into real-life parenting issues with CEOs, global ex-pats, entrepreneurs, celebrities, travellers and other hand-picked parents. [00:00:08 – 00:01:34]: Doctor O’Brien says in the prologue that this 10th episode is for the parents who would want to help their kids to settle new goals for the new year; that kind of goals that would make their children realize they can be positively influential at a young age. What you need to do is told by Doctor Kimberley herself. [00:00:30 – 00:01:33]: This episode is sponsored by BriteChild.com. Now, let’s get started. Doctor Kimberley: This is episode 10 of Impressive, and I’m your host, Doctor Kimberley O’Brien. This is a Q and A that means that listeners can write in and ask a question, and I’m going to structure the next five episodes into a series of Q &A’s around different topics. So, this week we’re going to be talking about how to empower young children and adolescents without making them feel a sense of entitlement. I’m going to share with you some tips on what I think would be helpful as parents to know how to help young people set some goals and feel that they can make a difference in the world, and it’s particularly important around this time of year when a lot of people are setting New Year’s resolutions. So, this episode would drop on the 31st of December, and I’m hoping it’ll be an opportunity for you to talk to your family about how to set goals and how to feel that you do have an influence in the world, and you can be part of a movement for the greater good. [00:01:37 – 00:02:15] Because this episode is in Q&A, we hear the question of Denise, one of the listeners, about how to educate her 12-year-old daughter to be a good version of herself, without being too harsh. And we have a response from Mo, a 9-year-old neighbor of Doctor O’Brien, in relation to this topic. Q: I’d like some tips on how to encourage my 12-year-old daughter to challenge herself. She seems reluctant to seek goals, but I don’t want to push her. I believe she has a capacity to do really good things in this world, and I’m writing to ask for tips on how I can empower her to be part of something bigger. Doctor Kimberley: Thank you so much, Denise, for that question. I asked around with some young people that I know, and here is one response that I got in relation to this topic. Mo: I thought the world was already a nice place. [00:02:16 – 00:03:54] Here, Doctor Kimberley believes that having the voices of children heard is essential for positive changes in the family and even in their school environment. Letting them give their insights alone would make them feel empowered. Doctor Kimberley: I agree, Mo. I think the world is a really nice place, too. And, Mo, is our Moses. He’s my 9-year-old neighbor whose voice I really wanted to include in this podcast. He may appear in some future episodes as well because the voice of young people is something that we really want to gather when it comes to making changes that could be in your family unit when you’re making decisions about where to go for a holiday, or what to do in the last week of school holidays—whatever it happens to be. Taking a family vote will make the young people in your family, no matter what age, feel that they have a say and that their opinion matters. And that’s really key when it comes to helping kids to feel empowered. Same goes for a school community. If you happen to be a school leader, or if you want to share this episode with a school leader or who’d encourage you to do so because school communities that have their students that feel really empowered are usually very positive for places. Some PhD research on the transition from year ’67 and how to help kids to feel a sense of belonging across that transition as well as retaining friendship quality and self-esteem showed that by gathering student’s opinion, a look on their perspective, they were more attached to the outcome and more invested in the direction of their school community. So, surveys really do have a positive impact on the community, and even listening, too, is a positive thing to do if you are a school leader. To go out there in the community and to wholesome parents, set up a whole bunch of different locations; we can do some great listening, do service to everybody far and wide within your community. [00:03:54 – 00:05:12] Your kids have you at home to empower them. And while they are at school, they have their teachers, and it is Doctor O’Brien’s recommendation that you also invite interesting guest speakers to guide them. And if you want, Doctor Kimberley can be one of those speakers. Doctor Kimberley: When it comes to gathering and talking about the direction of things, it’s really also helpful to ask students what they would like. So, I’m going to talk briefly now about finding a guest speaker for your school community, and letting students be involved in selecting that person. So, when it comes to choosing the right speaker for your school community, it’s really important to survey the school students to find out who they would like to hear. And you might even need to do a series of guest presentations, so that it’s not one person’s choice. You get a variety of speakers to empower these young people in your school community. They could be sporting personalities, or someone that’s overcome adversity by climbing a mountain, or doing something different. I think that that’s always a great way to help kids think out of the box and think about what they could be possibly doing to make the world a better place. [00:05:14 – 00:06:35] You can empower your kids not only verbally, but also having yourself invest some time on activities, then letting your children see what you are doing. Be a role model. Doctor Kimberley: And last, and certainly not the least when it comes to empowering your 12-year-old daughter, Denise, and for other early adolescents that are in the similar stage, think about setting yourself a goal as a parent. So, when it comes to doing something that’s maybe really physically challenging like a trek that you’d never thought that you’d sign up for, or a swim, or even, yeah, even something that you’d just thought was not your scene but you’re going to check out anyway, that’s really a good place to start when it comes to being a great role model for your kids because they can watch your journey as you start out researching and feeling unsure, feeling like an impostor in a whole new scene. I like the idea of doing trail run through the bush that sounds like an exciting challenge to set myself. And I’ve recently set one with a friend. We’re going to do kayaking and running through the bush challenge in about June next year. I think there might also be a swim component, I didn’t really look so closely at the details, but I just thought, yeah, that sounds like something I’d really like to train for. And I think by putting that in the future, and then, you know, sharing with the child your own kind of, well, I guess concerns about it and then how you’re going to overcome each of those concerns, that’s just being a really great role model in showing your child how to feel empowered and how to overcome challenges. 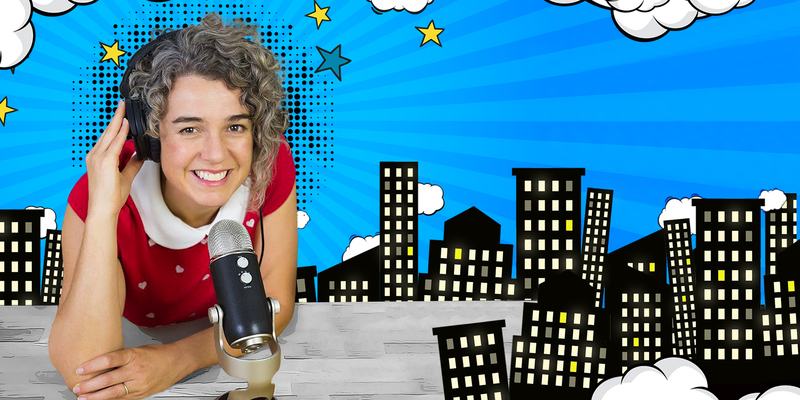 [00:06:36 – 00:09:35] Doctor Kimberley concludes the podcast by encouraging parents to also do those activities with their children. With the tips that Dr. O’Brien mentioned as your guide, your kids will surely develop not as entitled but empowered persons. Doctor Kimberley: And just one more thing before we finish up. That’s the difference between an empowered young person and an entitled young person, so they are completely different things. And I want parents to feel really reassured that by encouraging your child to feel empowered and by creating an empowering child, you’re not at risk of creating an entitled adolescent. So, please relax and know that those two things are completely separate. Someone whose feeling entitled is more likely to have a behavioral issue, so it’s more around not being able to empathize with others, being quite self-absorbed, and that is the complete opposite of an empowered young person whose much more aware of their environment, and themselves and what part they play in the community at large—and that is being assertive, and feeling that they can be a positive influence in the world. So, the two are completely different things. Now, when it comes to connecting with your 12-year-old daughter, Denise, I just wanted to share the last tip, and that is to also set a challenge for yourselves together. So, challenges are not meant to be simple. And staying on the, focusing on one task for a long period of time can be a challenge for young people. But if you do something together, it’s likely to feel maybe a little bit more fun, and it might be that she doesn’t want to do something with her mom—that’s okay. That’s age appropriate. But maybe one of her friends would like to be part of some sort of challenge that they’ve set for themselves, and that could be something that you suggest or that you leave information about, so that they can set some really positive goals for the year ahead. Another example of that is like a run and swim and survey on the path of a physical challenge because I think that’s great for early adolescents to keep themselves physically fit and active because that’s also a challenge, and often girls would stop participating in sport at that age because they’re developing and they don’t want to be seen; they feel self-conscious. But by participating in a sporting event with a friend, it’s more of a challenge and it’s a whole lot more fun. So, have a look in your local area about runs, swim challenges. Sometimes, you can have one participant do the run and the other one do the swim, so it’s all about teamwork and having a really good time. It can be a great social opportunity for young people as well. So, without talking anymore, this is the last part of the Q and A. I hope that’s been really helpful. It’s been absolutely my pleasure to bring you some quick tips on how to empower young people as we move into the New Year. So, wishing you a really fabulous night tonight for those who are listening when this episode drops on the 31st of December, and if you’re not, I hope these tips are also helpful for you. And join us next week on Impressive when we’ll come up with more tips, Q and A style, and thanks for listening. This was Impressive.